A Celebration of Harry Potter 2016 Dates Announced! Calling all wizards, witches and Muggles! You can experience the magic at A Celebration of Harry Potter Jan 29-31, 2016 at Universal Orlando Resort. A Celebration of Harry Potter has come to be known as the ultimate Harry Potter fan event. Guests come from all over the world to take part in this very special weekend that happens only once per year and only at Universal Orlando! 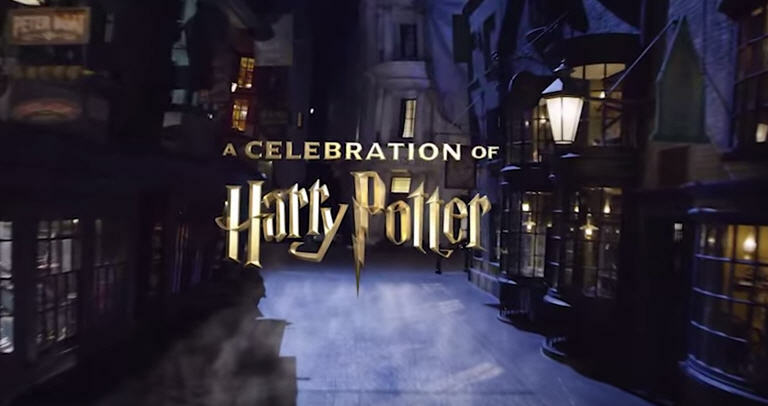 Be a part of A Celebration of Harry Potter at Universal Orlando Resort. Take part in all-new experiences as well as returning fan favorites such as film talent Q&A sessions, special panels and demonstrations, A Celebration of Harry Potter™ Expo, and so much more. In addition to the special events of A Celebration of Harry Potter 2016, Potter fans will want to plan extra time to explore The Wizarding World of Harry Potter™ – Hogsmeade™ at Universal’s Islands of Adventure®and Diagon Alley™ at Universal Studios®. Don’t forget to dine at the Leaky Cauldron™ and the Three Broomsticks™, see a wand choose a wizard at Ollivanders™, then ride Harry Potter and the Escape from Gringotts™, Harry Potter and the Forbidden Journey™ and other thrilling attractions. With your park-to-park admission, you can even ride between both lands of The Wizarding World of Harry Potter™ on the Hogwarts™ Express*. Check back soon for vacation package information!